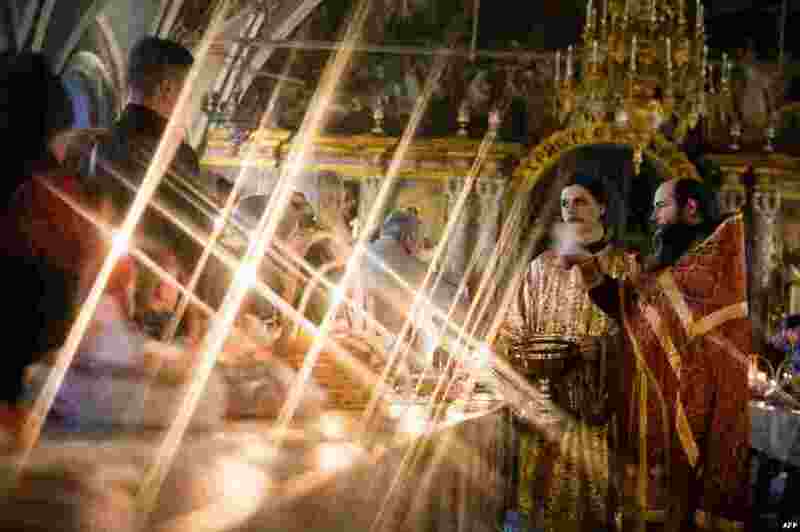 1 Macedonian Orthodox worshipers light candles from the holy fire that arrived from Jerusalem during the Easter service at the St. Jovan Bigorski monastery, some 145 km west of the capital Skopje. 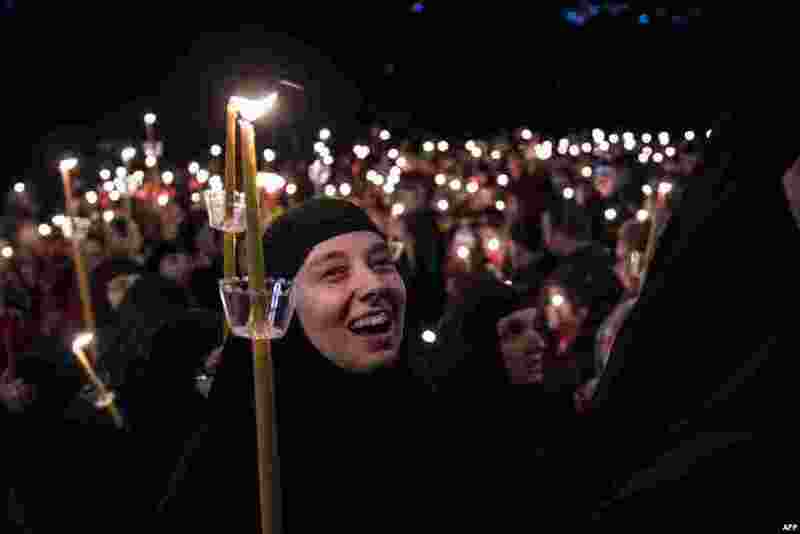 2 An Orthodox priest blesses cakes and colored eggs during an Orthodox Easter ceremony in the Holy Trinity-St.Sergius Lavra in Sergiyev Posad, Russia, April 7, 2018. 3 People participate in a traditional game during Sinhala and Tamil New Year celebrations in Colombo, Sri Lanka. Sinhalese and Tamil communities will mark the new year on April 14. 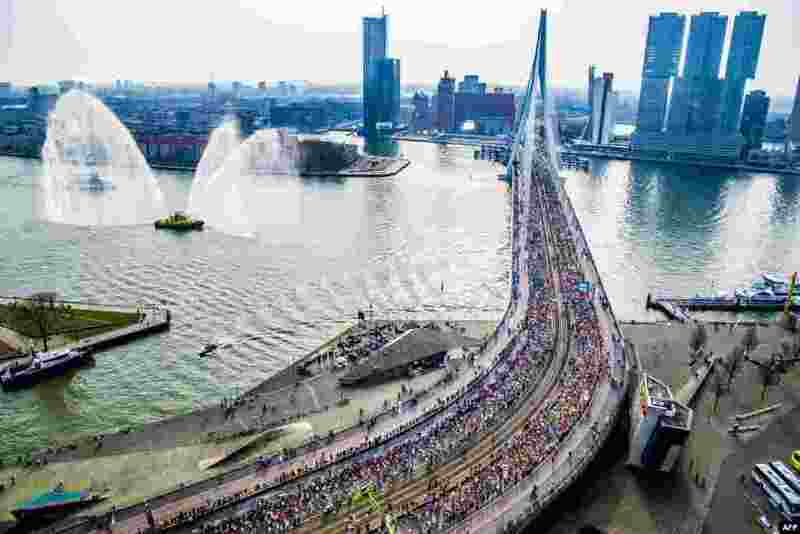 4 Runners cross the Erasmus bridge during 38th Rotterdam Marathon in Rotterdam, Netherlands.